Most writing centres will be open during Reading Week, some for reduced hours. Check your writing centre for availability. After Reading Week, many centres will offer increased hours. The UC Writing Centre is offering two excellent opportunities for undergraduate students to learn about the kinds of writing practiced in two fields: law and journalism. U of T undergraduates from all fields of study are welcome to attend. Tuesday, October 23, 4:00 p.m.-5:30 p.m.: Writing and the Law, with Simon Stern. 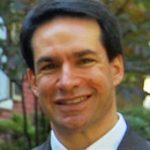 In this workshop, Simon Stern will provide a window onto the practice of law by comparing professional legal writing to other types of writing. Unlike creative and many other forms of professional writing, genres such as the legal memo or judgement typically begin with the conclusion and then recapitulate the path to the conclusion. What would count a spoiler in other genres counts as a virtue in legal writing. Professor Stern will show how the strategies of legal writing reflect the values and needs of the profession. Simon Stern teaches law and English at the University of Toronto. His research focuses on the evolution of legal doctrines and methods in relation to literary and intellectual history. Recent and forthcoming publications include articles and book chapters on legal fictions, obscenity law, and early conceptions of criminal fraud. Tuesday, October 30, 4:00 p.m.-5:30 p.m.: Writing and Journalism, with Kamal Al-Solaylee. Held up as a watchdog of democracy and decried as a purveyor of fake news, the profession of journalism has become the subject of intense debate in the past few years. How can undergraduate students with an interest in journalism get a handle on what the future has in store for this constantly shifting industry? In this workshop, Kamal Al-Solaylee provides an overview of the world of journalism, whether pursued as a civic duty, a full-time career, or a side interest. 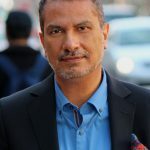 Award-winning journalist and writer Kamal Al-Solaylee is the author of the national bestselling memoir Intolerable: A Memoir of Extremes and the recent Brown. He has written for the Globe and Mail, Toronto Star, National Post, The Walrus, Toronto Life, Chatelaine, Quill & Quire and Literary Review of Canada. He currently teaches journalism at Ryerson University in Toronto. All workshops are free. Find out more or register online. These workshops are sponsored by the Faculty of Arts & Science and University College. New College offers a full day of academic workshops and events called Ignite on Saturday, September 9. Students are also invited to make appointments for individual consultations in the Writing Centre during the summer. Bring a high school paper to talk about ways of developing your writing for university courses. Book appointments online. In mid- to late-August, University College students can attend one of six skills sessions as part of its Getting Started Early program. UC also invites its incoming students to bring a sample of high school work for a one-on-one appointment during June, July, or August. Book all group or one-on-one sessions online. UTM’s Head Start program in late August provides a free series of interactive sessions specially designed to help first-year students achieve success. Incoming UTM students can come to as many sessions as they like. Toronto poet Sachiko Murakami is this year’s Jack McClelland Writer-in-Residence. Murakami has been shortlisted for the Governor General’s Literary Award and the Gerald Lampert Memorial Award. Her poetry collections include Rebuild (2011) and The Invisibility Exhibit (2008). Murakami holds office hours between 2:00- and 4:00 p.m. on Wednesdays at House V, Room 6, Massey College, from Jan. 16th. For more information, visit the English department website. To find out more about opportunities to develop as a creative writer, visit our page on creative writing support.